Remember the good ol’ days when we had to log into our Facebook accounts every four hours because we had to harvest apples? 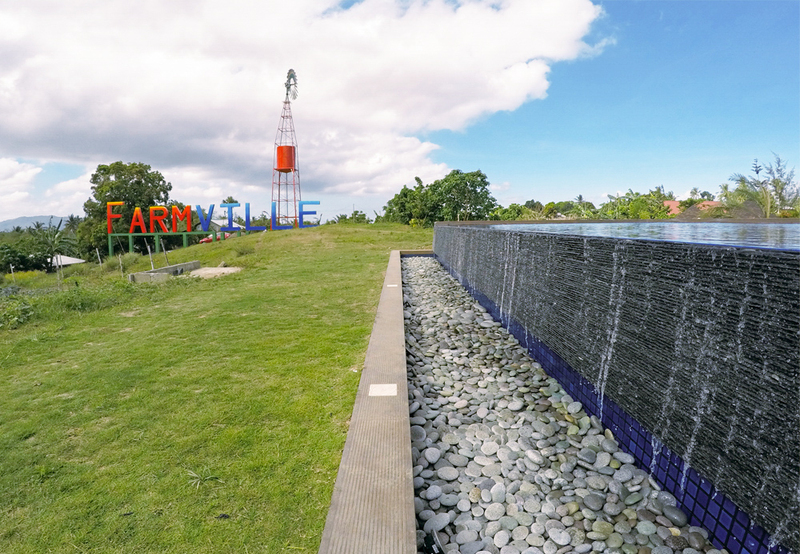 The hype from Facebook’s Farmville may have died, but there’s this hidden gem in Batangas which will make it seem like living inside our “farms“. Located in Brgy. 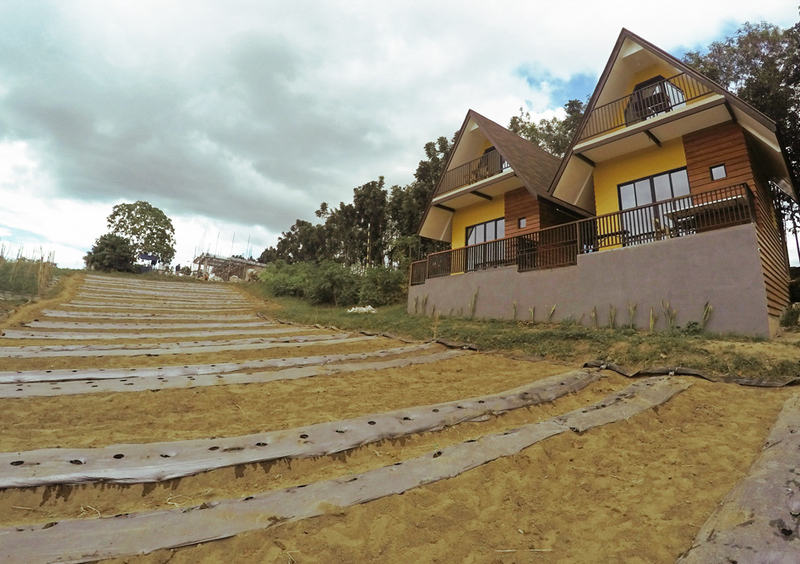 Iba, Taal, Batangas is a 3.5-hectare, which is likely the size of more than three running tracks combined. 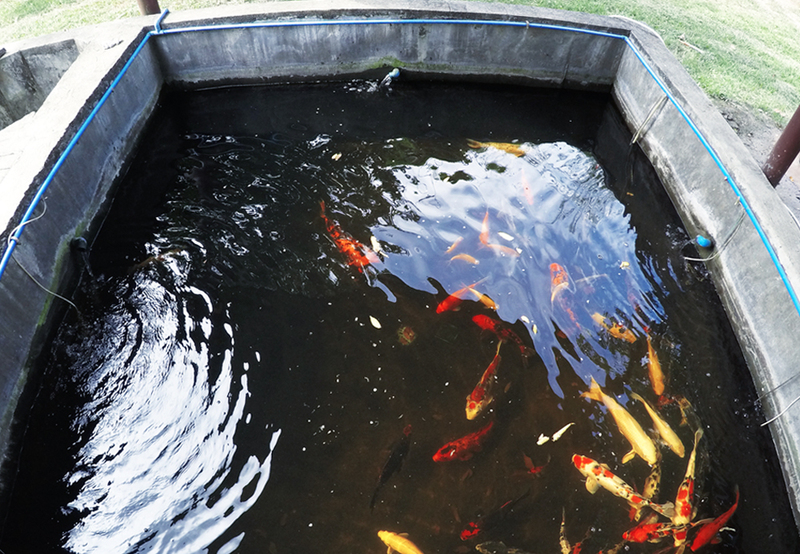 Upon entering the farm owned by Mr. Michael Maranan, you’d probably get awed by the vastness of the farm with different establishments and of course, the land area. Up to date, the farm isn’t fully operational yet because there are lots of surprises being installed. 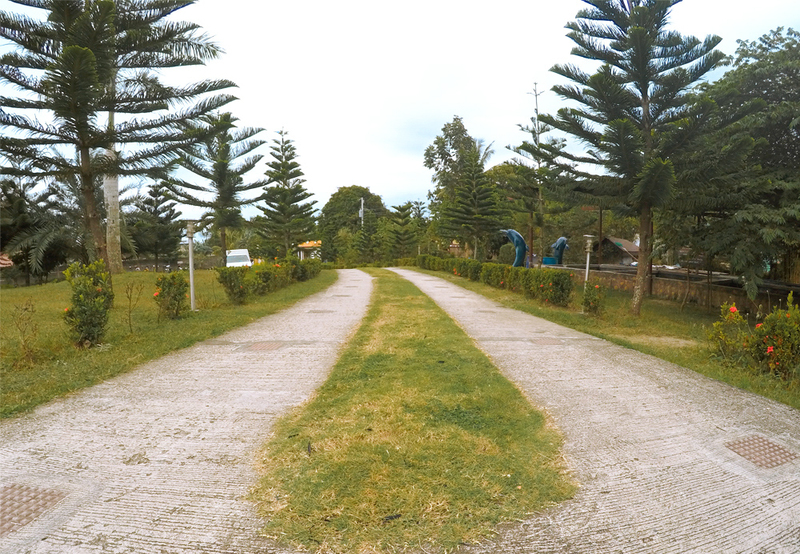 Earlier this March, I had the chance to visit the farm which made me feel like staying for 2 weeks or more. It was indeed a much-needed vacation that you probably need too. 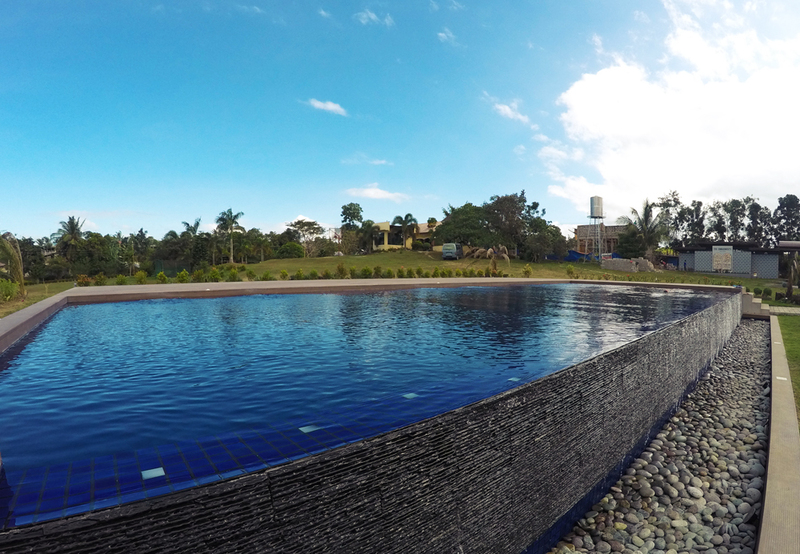 For day tour (8:00am-5:00pm), the entrance fee is Php 150 for adults and Php 100 for kids, with free access to the infinity pool. Night swimming is for Php 200 for adults and Php 150 for kids, on the other hand. 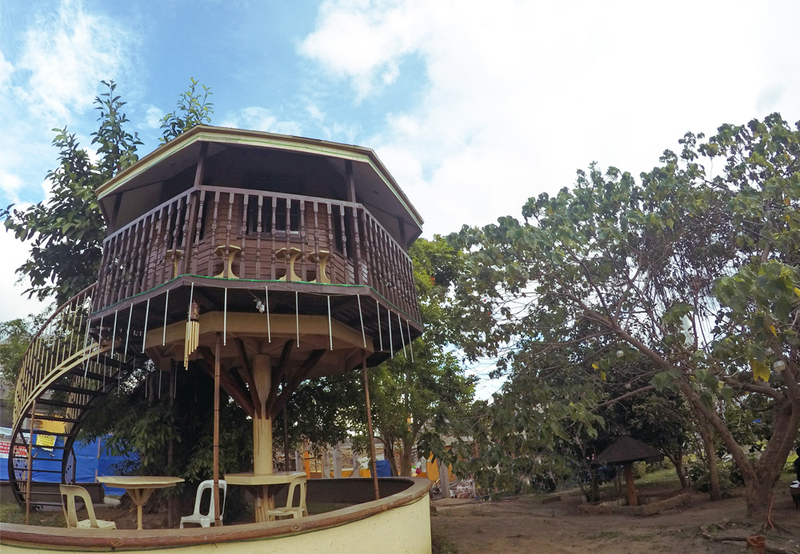 If you’re planning to have your lunch or dinner at the farm, tables & chairs could be rented for Php 300. 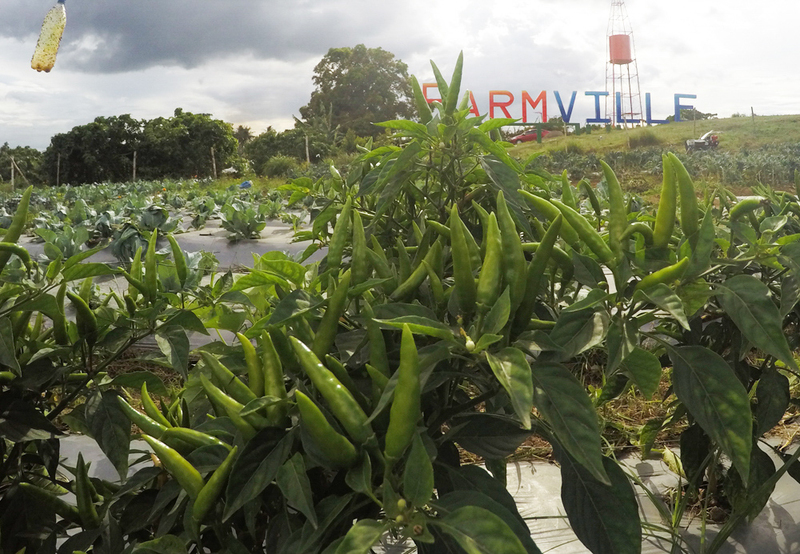 The farm offers different dishes made with fresh and organic ingredients from the farm itself. There are goats, boars, chickens and horses who are not only fun to interact with but are helpful, too because their wastes are being used for composting, making the crops more healthy. Before sunset, you should be soaking up in the infinity pool facing the Farmville logo because it gives the best view. As for my experience, after ordering Pork Sinigang, I saw a guy running from the vegetable field carrying some greens. Well, the veggies from my viand that I ate after a few minutes are fresh, indeed. 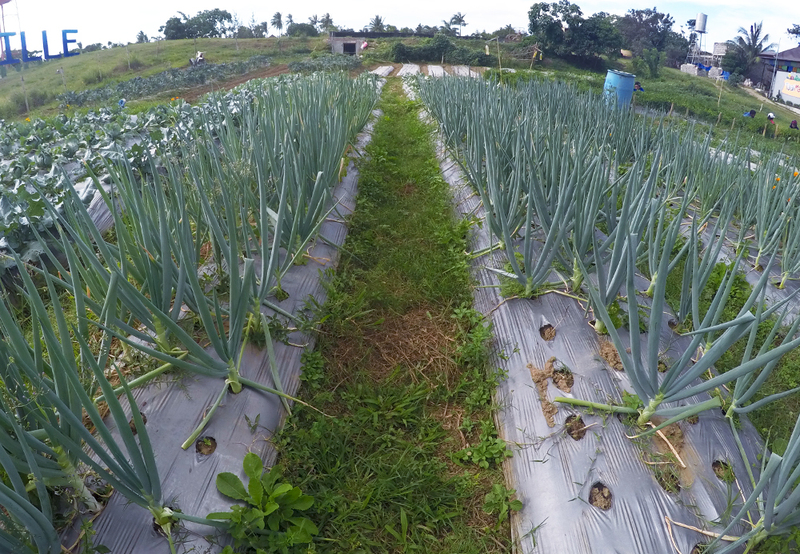 There are lots of crops at the farm such as okra, cauliflower, cucumber, lettuce, parsley, celery, eggplant, and upland kangkong (a type of kangkong which doesn’t grow in water. And truer to its name, there are giant fruits and veggies around which are being turned into rooms and cottages around the farm. 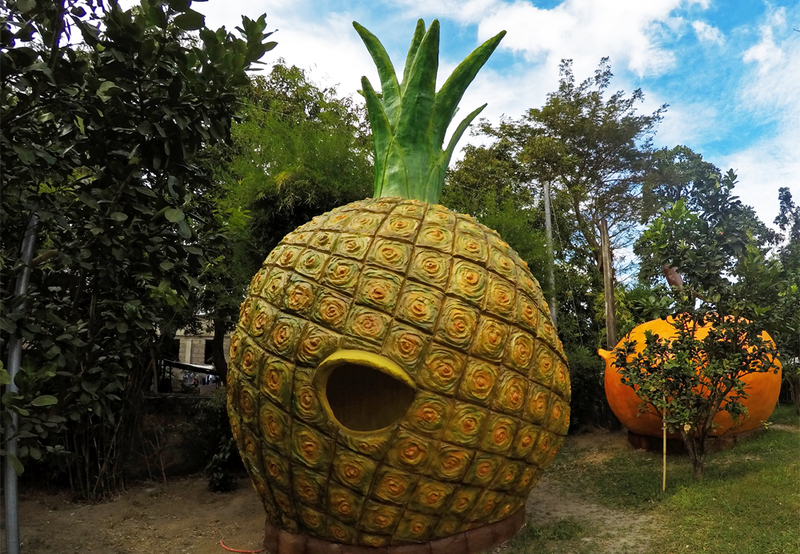 This giant pineapple is a cottage near the infinity pool and Koi fish pond. If you’re a millennial, glamping sure’s on your bucketlist right now, as in #travelgoals. ICYMI, glamping means glamorous + camping. 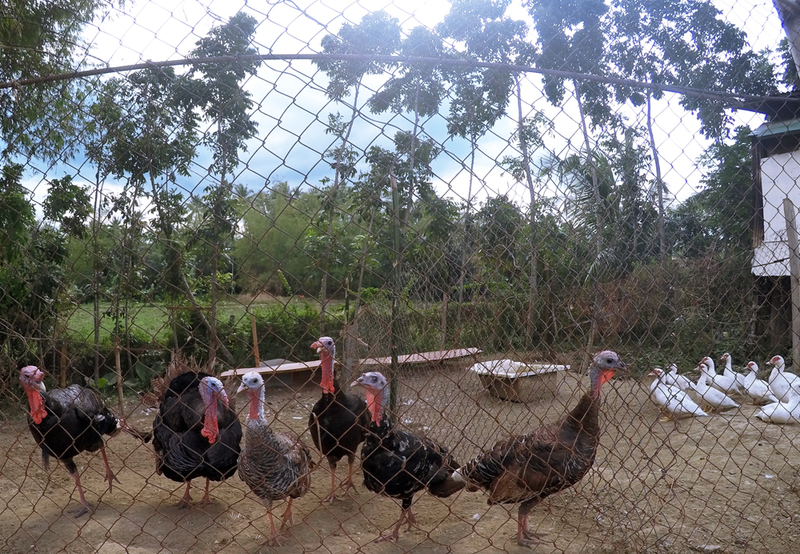 In Taal Maranan’s Farmville, this is possible for just Php 1200 for 4 persons. 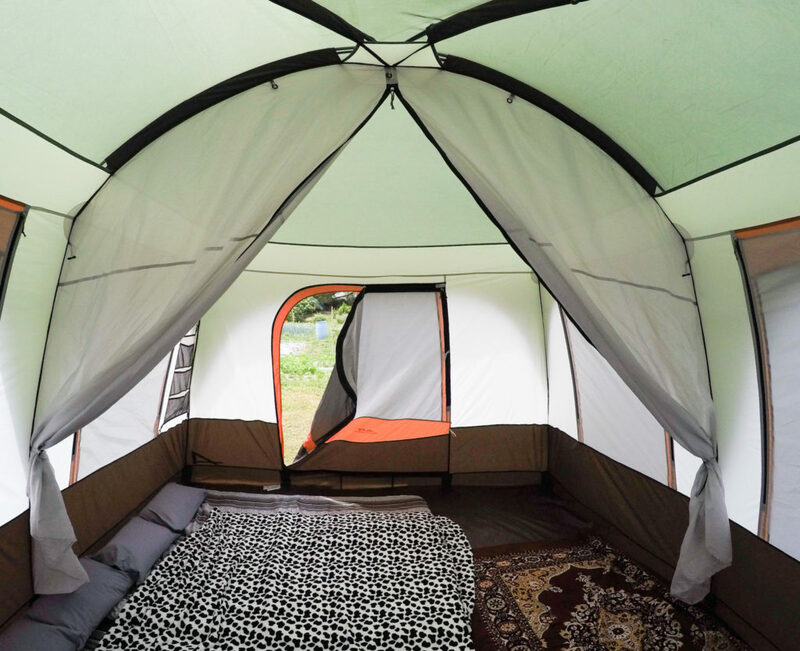 You’d be provided a glamping tent which fits more than four people complete with pillows, mattress, and a blanket. There are no tall trees, bonfires, marshmallows, and hotdogs, but the greenery from outside your tent is surely a more fun view for a camper. Before 2017 ends, the farm’s expected to be fully operational, together with a lot more rooms and amenities such as hotel (with another swimming pool) and a hobbit house. 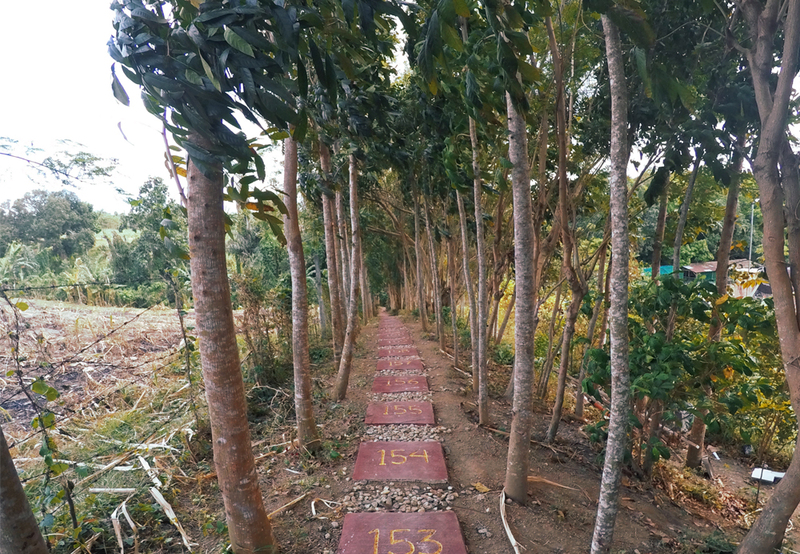 Here’s a numbered pathway which goes around the corners of the farm. From Manila, ride a Lemery-bound bus (Php 178) and get off at Flying V, Taal. Ride a jeepney bound for Lemery (Php 8) and tell the driver to drop you off at the Taal Public Market. 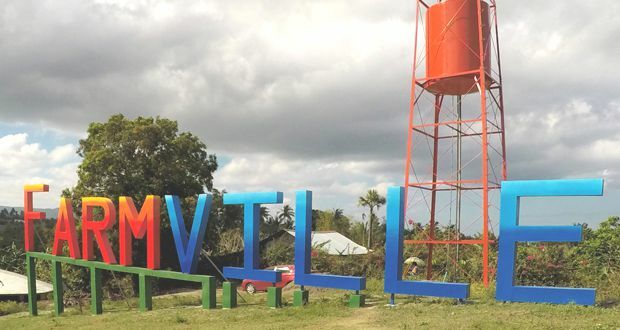 Ride a tricycle, who are usually at the front of the market and tell them to bring you to Taal Maranan’s Farmville at Barangay Iba (Php 50-70 per ride). 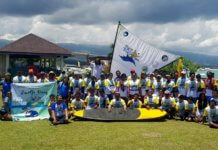 For more information, check Taal Maranan’s Farmville’s website.